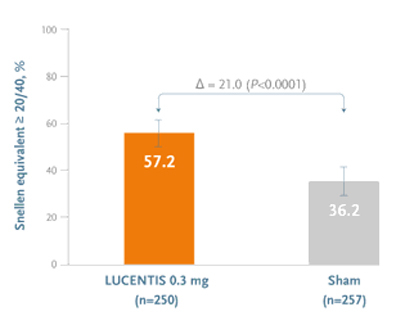 Lucentis is approved for treatment of wet age-related macular degeneration, retinal vein occlusion with macular edema and diabetic macular edema. 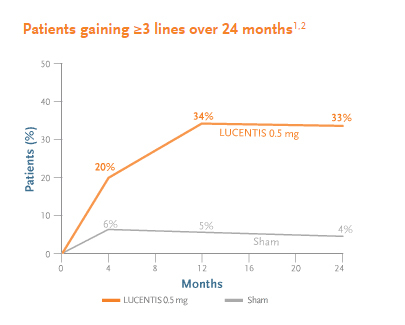 Lucentis is a medication that is used to treat wet age-related macular degeneration. It reduced the risk of vision loss from wet AMD from about 70 percent down to about 5 percent. The treatment improves about 90 percent of patients vision some and about 40 percent of patients vision a lot. It is safe and effective. The risk of harm is low, with about a 1 in 5,000 risk of infection. 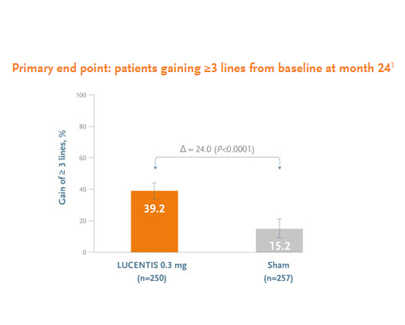 The bad thing about Lucentis is that it has to be given monthly to be effective, at least initially. The other bad thing is that it is an injection into the eye. With proper anesthesia, the injection rarely hurts. In addition, Lucentis is very expensive. It costs about 2000 dollars per dose. 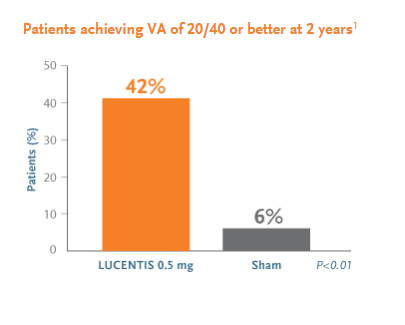 Lucentis was the first FDA approved anti-VEGF agent specifically developed for wet AMD. It has been in widespread use since 2006. 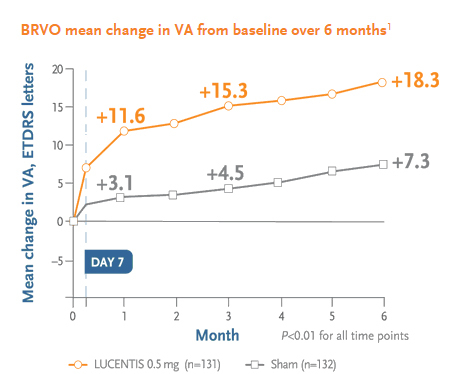 In addition, because of its chemical structure, it has the least effect on systemic VEGF levels. 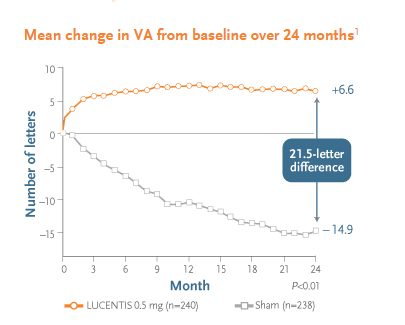 Monthly Lucentis therapy is also helpful in improving vision in patients with central retinal vein occlusion and macular edema. Without treatment about 15 percent of have visual improvement. 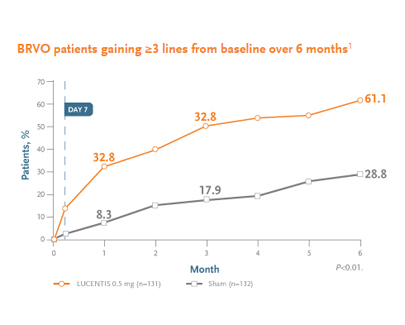 With treatment about 50 percent of patients have improved vision. 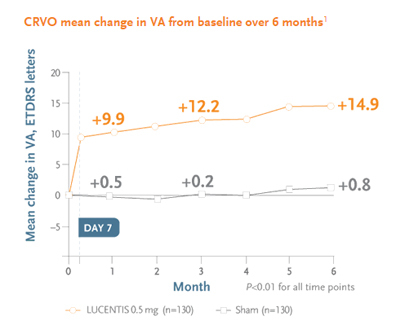 Long term follow-up show that at 4 years, a little over half of the patients with central retinal vein occlusion require continued treatment to maintain the visual benefit. 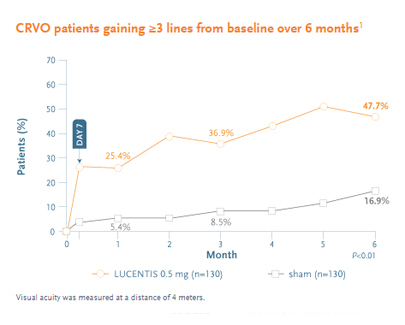 Monthly Lucentis therapy is also helpful in improving vision in patients with branch retinal vein occlusion and macular edema. Without treatment about 30 percent of have visual improvement. With treatment about 60 percent of patients have improved vision. 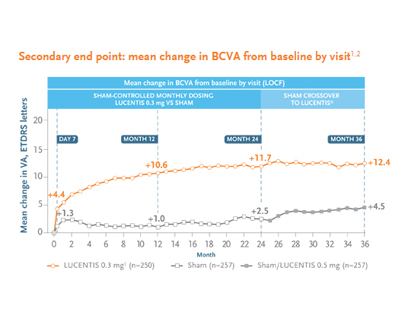 Long term follow-up show that at 4 years, about half of the patients with branch retinal vein occlusion require continued treatment to maintain the visual benefit.